The Enneagram – a symbol of change and transformation- is a powerful tool in more ways than one. Each of our personality types prevents us, in different ways, from reaching the next level of personal breakthrough. 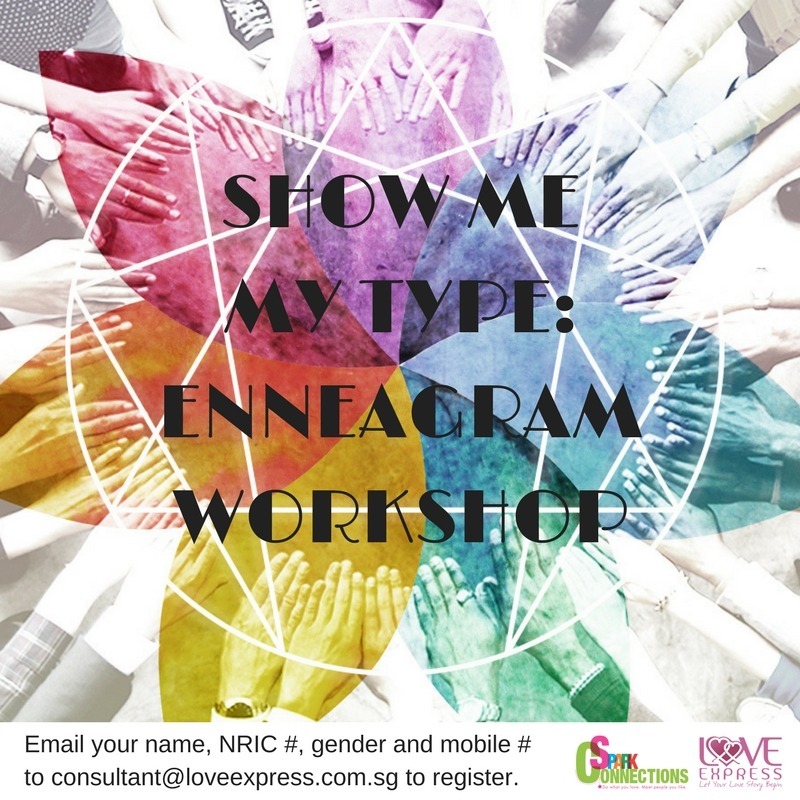 Through Enneagram profiling, uncover what are the common pitfalls and blind spots associated with your personality type and learn how to overcome it to emerge a more balanced and attractive person. Be the best you can be to attract that special person to your side! Price includes workshop, one-to-one consultation of your profile report, light meals and drinks.